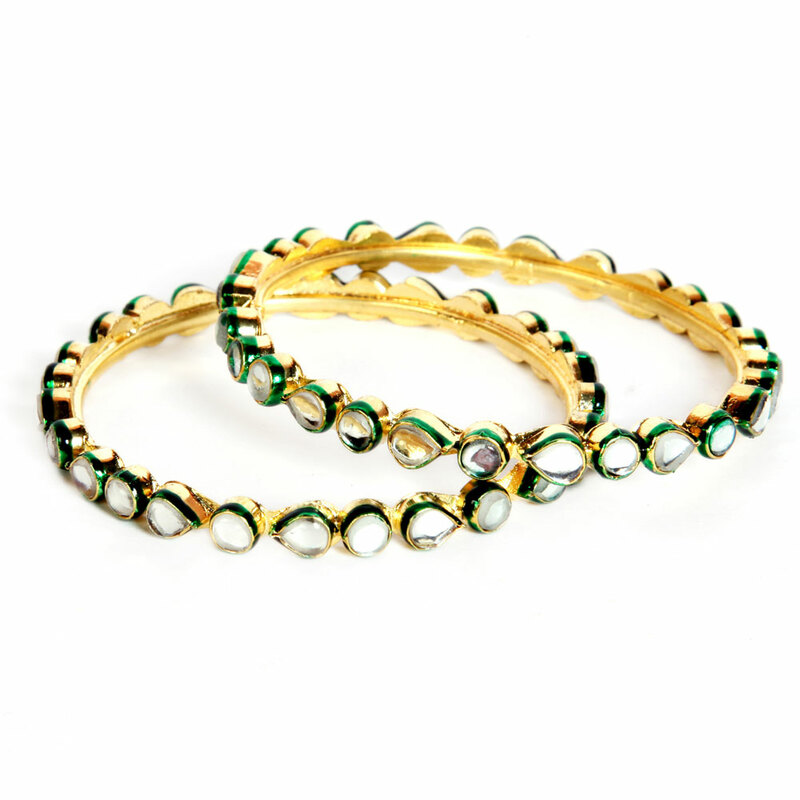 This magnificent pair of kundan bangles has been provided with an exquisite look thanks to the green shading at the sides of the circular and Read More..teardrop shaped stones that are set in a chain form around the circumference. The elegant bangles are available in three sizes of 2.4, 2.6 and 2.8. Show Less..